These professional powder brushes offer a flawless application to max out your selfie reel. Ready to buff, blend and bake, these brushes are designed to produce all the leading-edge makeup trends. 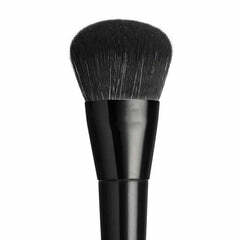 The large fluffy blenders are ideal for applying your base, while the contouring brushes enhance your favourite facial features. The body contouring brushes help chisel your figure by defining your muscles, bone structure and décolleté. With these unstoppable beauty tools, you’ll be ready for any setting, from the office to the limelight.